Capture creative portraits and outdoor scenes with depth effects on a 12 MP dual camera system. Search what you see with Google Lens™. Plus, enjoy an ultrawide 15.75cm (6.2) Max Vision Full HD+ display. Enjoy maximum big screen entertainment on a 15.75cm (6.2) Full HD+ display—our largest ever on a moto g. The 19:9 aspect ratio and new minimalist U design create an ultrawide, immersive viewing experience for movies, games, photos, and more. 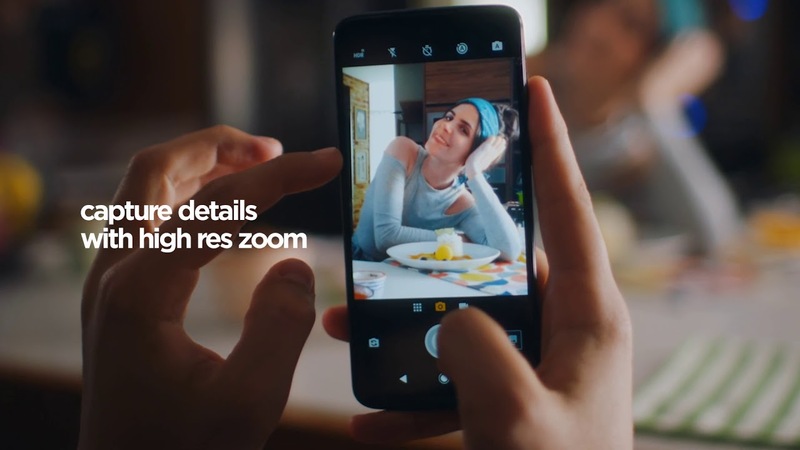 High res zoom automatically restores the details and image clarity that are typically lost with digital zooming.§§ So your photos look clear and detailed, even when subjects are far away. See the difference below: without (left) vs. with (right). Group photos are easier than ever with auto smile capture, an algorithm that triggers the shot when everyone in the frame is smiling. *** Plus, with Google Lens™, it’s like having an encyclopedia in your viewfinder. Shoot a timelapse video in motion and smooth out any unwanted shakiness with post-capture stabilisation. ** NFC-supported payment terminal and app required. Requires fingerprint authorization for purchase. *** Auto smile capture can recognise up to 5 faces/people in the same frame.